My trip to Cree River Lodge was the adventure of a lifetime. 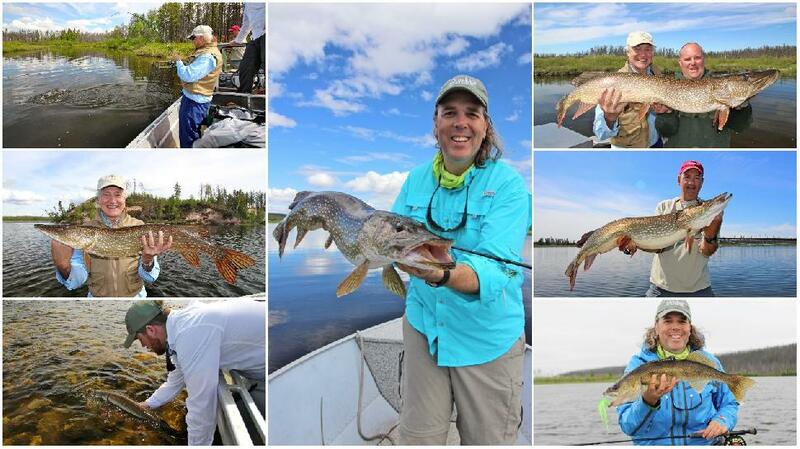 But if there is a single aspect that will stay with me, it’s continuing awe at the density of the pike population, and the extraordinary girth and power of these fish. And if you can’t wait to sample the action for yourself, you’re in luck! Due to some unexpected cancellations there are still bookings available in June. There are also a few later in the season when, I’m told, the fish are even bigger. It’s hard to imagine. And though the location is remote, it’s not hard to get there, thanks to daily two-hour fights from Saskatoon to Stony Rapids, Saskatchewan. Then it’s a 60-miunte jaunt via car and boat to the lodge. For more information, contact Cree River Lodge owner Pat Babcock at www.creeriverlodge.ca, e-mail creeriverlodge@gmail.com or call (306) 276-7841. And many, many thanks to Pat and his staff, along with Tourism Saskatchewan for their hospitality and support.